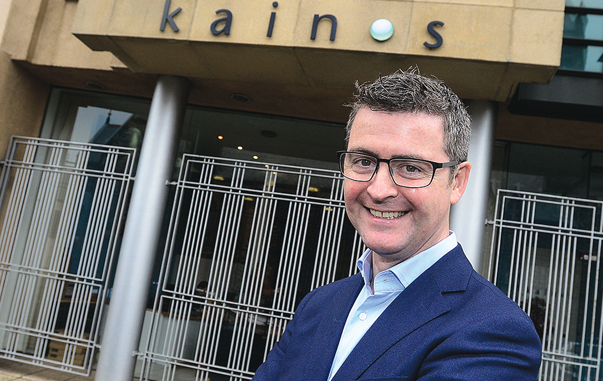 We met with our first Ardlinn Executive of the Month, Kainos CEO Brendan Mooney, to discuss his role at Kainos, how it’s changed since he began working there in 1989, and how the Kainos brand and people have developed to meet current workplace challenges. 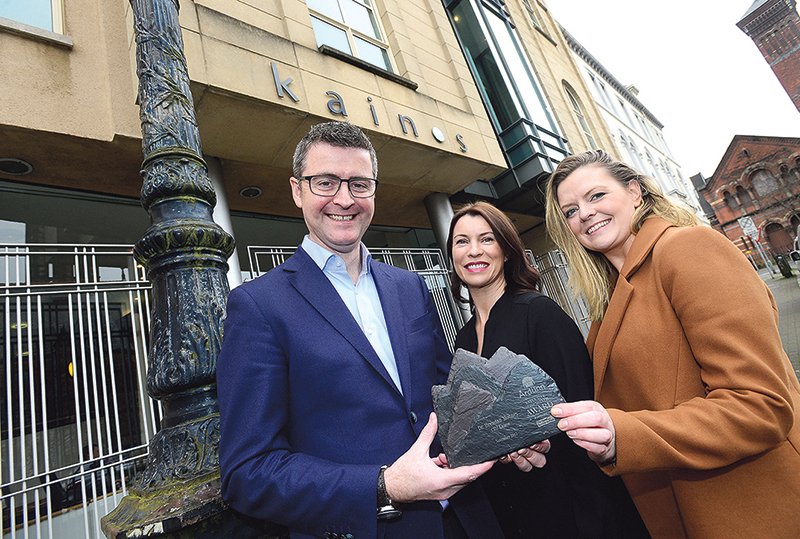 When did you join Kainos? 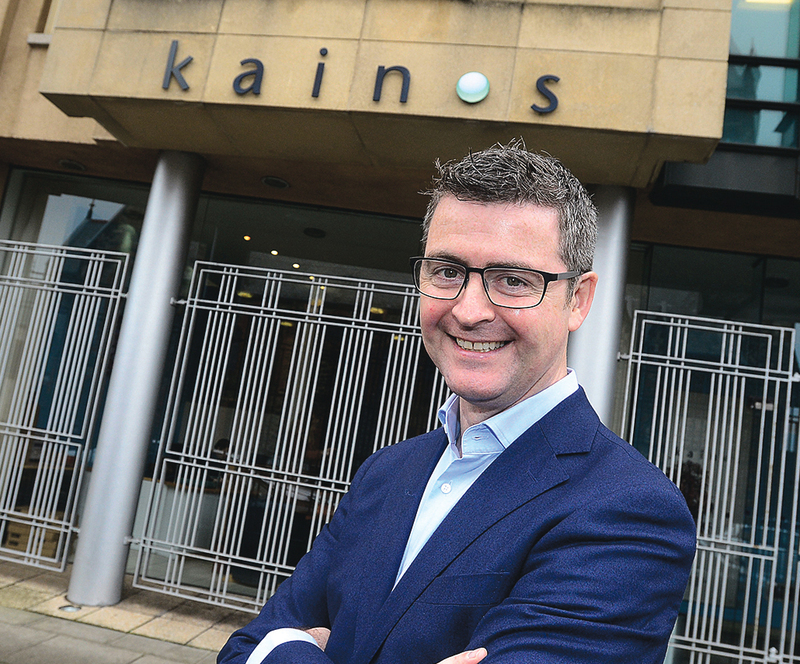 I joined Kainos in 1989, two years after it was set up. I was employee number 28. I studied Computer Science at Ulster University, having done an A Level and GCSE in the subject at school. 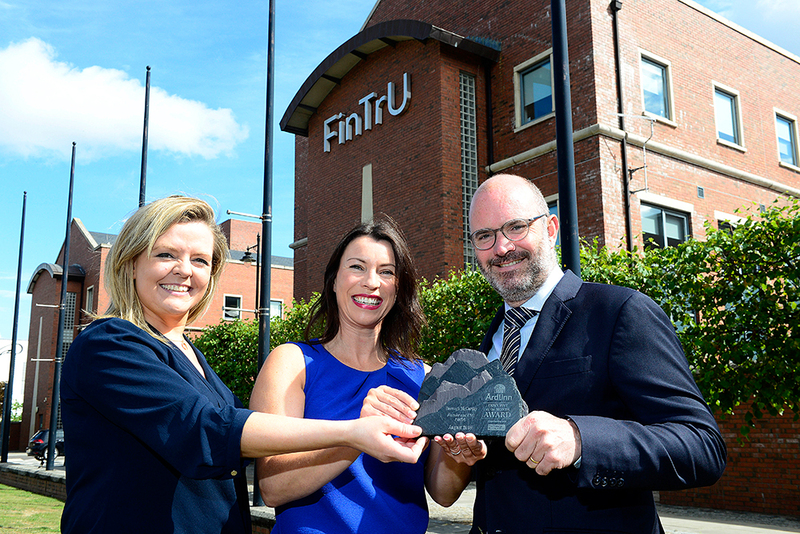 At that stage, we were a joint venture between Fujitsu and Queen’s University Belfast. The majority of work we did was for Fujitsu. We developed software for the London Underground for both the Oyster Card and paper ticketing system here in Belfast. We also worked for BT. Every telephone call made on their fixed line network went through software we had written for them. Now, we employ 1,060 people in 13 offices worldwide. We have opened five new offices this year in Manchester, Birmingham, Edinburgh, Copenhagen and Frankfurt. When I was a teenager, we used to have a half-hour gap between one bus dropping us off in the local town and the next bus taking us home, so I used to go to the local arcade to play Space Invaders. The school then bought computers and the rule was that, in order to get access to the computer lab at lunchtime to play computer games, you had to sign up to the O Level. My interest in computers was no more thought-through than that, but the turning point really came when my late father decided to buy a computer for the house in 1982. I never really knew why he decided to do that, but that was really the point at which I went from playing computer games to looking at how you could go about creating programmes. I fell in love with programming at that stage and pursued it on to A Level and then college. When did you go progress from technical roles into management? In the early part of 1994, we were looking for someone to work with Fujitsu in Dublin in a sales-type role. I volunteered to do that and went to Dublin in July. One year became two and two became seven. I moved from the technical aspect into doing a lot more pre-sales and project management work. That set me on the path to becoming CEO and I came back to Belfast in 2000 to take up that role. How did you find the transition from being project-oriented to meeting commercial targets? I really enjoy what I do so coming to work is no challenge. I’m not involved in technology as much as I used to be, but the company is about the people in it, so it’s a different set of things you’re trying to deal with, progress and resolve. I still find the technology aspect great, but how you build the culture of an organisation is equally interesting. Good sales practice is very disciplined. You need to get proposals to clients at a certain point in time. You have to prepare for presentations and think through the logic of that. It’s not a lot different from a typical project where you have milestones, but the same kind of discipline is required. You have a lot of young employees at Kainos: how do today’s graduates differ from you when you when you came out of college? Graduates now are quite different. I was quite happy to get a job with Kainos when I graduated. I was in a class of 28 at University of Ulster and 24 of us had to emigrate in order to get jobs. That’s very different to today where there is almost full employment for graduates. I see Millennial graduates as better versions of ourselves. They are coming out with a good bit of knowledge and a real desire to change the world and make it a better place. That’s not to say that people of my age are cynical, but they are coming out with a real optimism about making a difference personally. That’s something we as an employer look to harness and develop. They have different expectations of us as an employer. Flexibility is important. Social impact is important. Through our outreach programmes, for the last three-and-a-half years, we have given career advice and help to 4,000 young people, primarily at secondary level. That’s really been fuelled by the ambition the young people in our company must pass on advice, guidance and help to others who are struggling to make their own career choices. 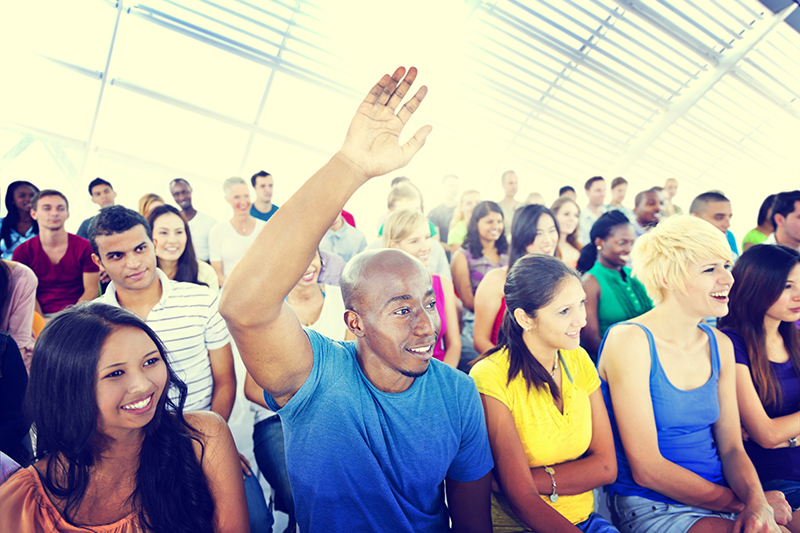 As the company has grown internationally, what has your experience been like dealing with a multi-cultural organisation? We have 25 nationalities working across the organisation and I think that brings a great vibrant feel to it. Our ambitions are global. Over a quarter or our business comes from Europe or the US. 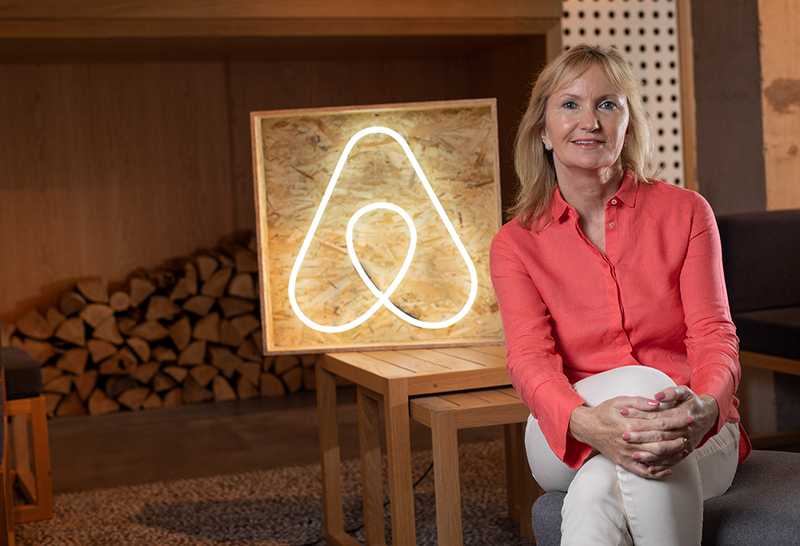 If we want to see those ambitions realised, we have to be a much more global company in our outlook as well. When you look at our colleagues in Gdansk in Poland or Frankfurt in Germany, they have different expectations than somebody in Belfast or Dublin. But, I think that adds to the richness of the company. What does your Ardlinn award mean for you? I am very pleased to receive the first Ardlinn Executive of the Month award on behalf of the entire company. We are an ambitious company. We have grown a lot over the last few years and, for me, there is an opportunity for us to double again in size to over 2,000 people in a reasonably short period of time. When you hire talented ambitious people, you have got to give them the opportunity to develop those talents and to see their ambitions realised. For us, it’s about continuing to grow and deliver to both our customers and our staff.